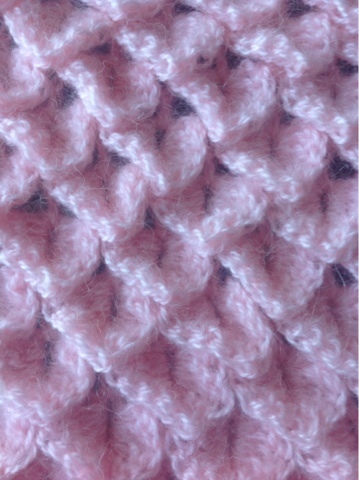 I love the funky texture of crocodile stitch. This triangle shawl is easy enough that I think a dedicated beginner could learn the stitch. 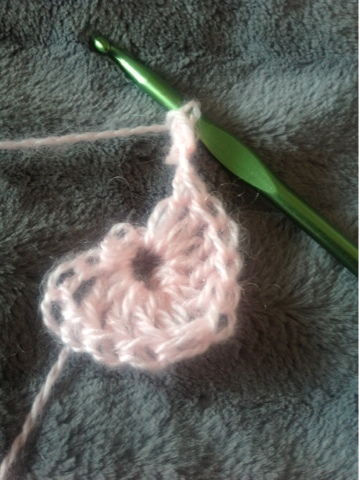 A basic understanding of how to crochet around the posts would be helpful. The stitch works up quickly. 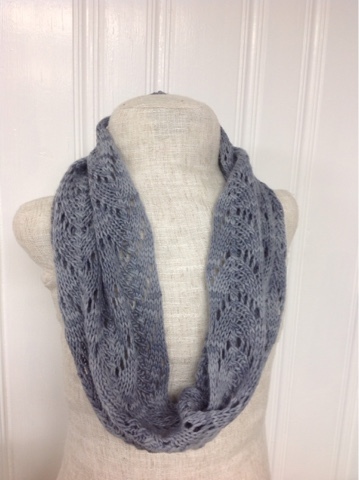 I used a light worsted weight yarn. It was stash yarn, so I have no idea how many yards it was. I do know that it is acrylic, and I had about 6 ounces. 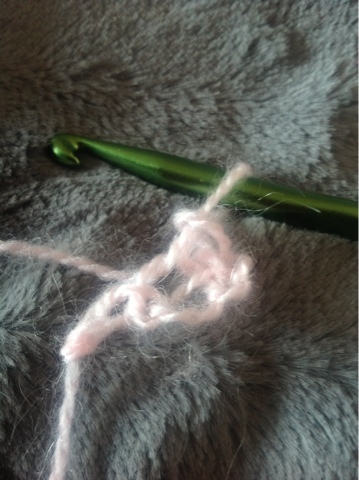 The size of the skein was about a pound of baby yarn. I'm estimating this project will take about a thousand yards. 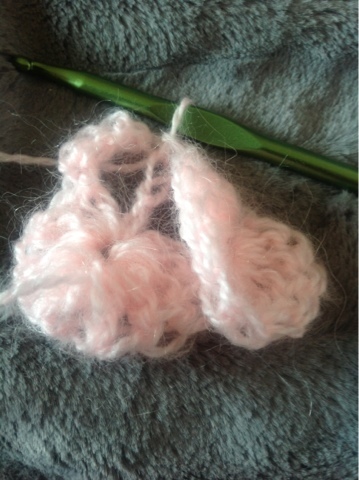 I would recommend using yarn you can easily get more of, since I don't know the yardage. 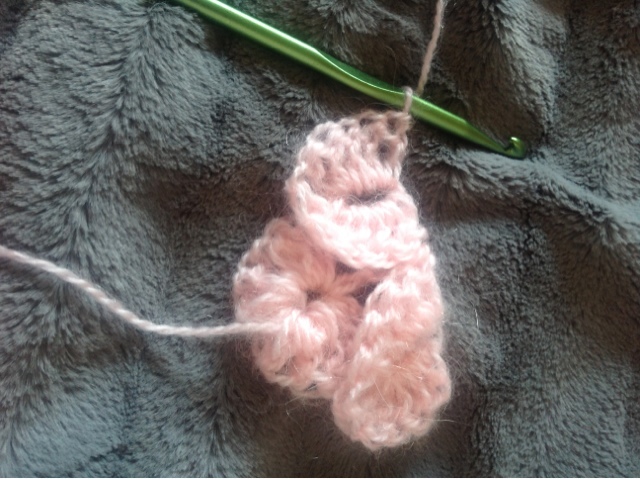 Slip stitch into the 3rd chain, to form the loop we will begin to crochet in. Dc 4 into the loop. Dc 5 into the same loop, making 10 dc. Chain 3. Dc into the top and side of the last dc of the first petal. Ch 1, dc into the middle of the 10 dc from the previous row, ch 1, dc 2 into the last chain of the chain 3 from the previous row. Dc 5 around the first dc, ch 1, dc 5 around second dc. You will have to angle the work and move it around to do this. 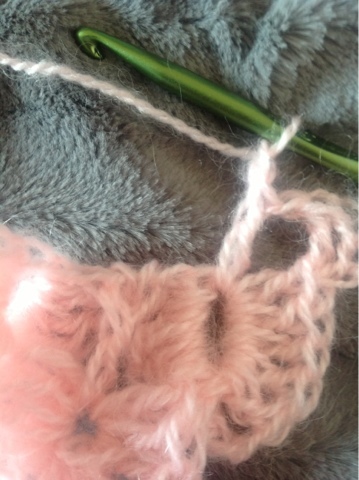 Slip stitch into the dc from the previous row. Dc 5 around first post, ch 1. Then dc 5 around the second post. It will be the ch 3 from the previous row. Dc into the top and side of the last dc. Ch 1, dc into the loop from the petal below. Ch 1, 2 dc into the dc. 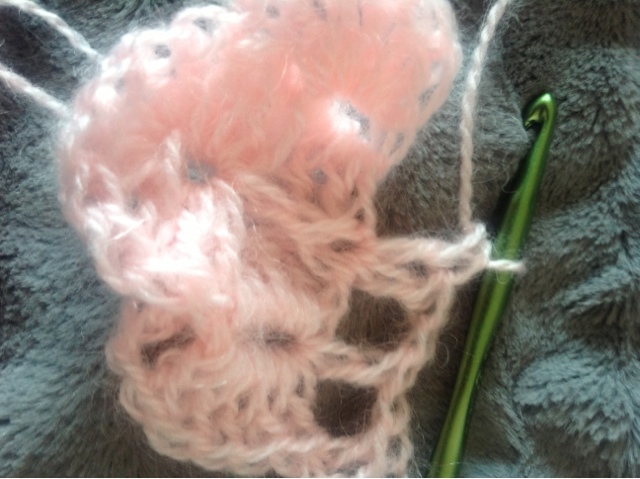 Ch 1, dc 2 into the side of the last stitch from the petal below. Dc 5 around the first dc. Ch 1. Dc 5 around the next dc. 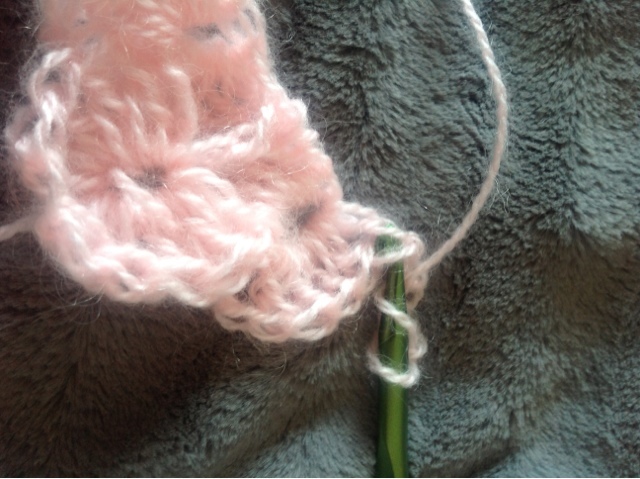 Slip stitch into the single dc, dc 5 around first post, ch 1, dc 5 around second post. Slip stitch into dc. Dc 5 around first post, ch 1, dc around second post. Continue following these two rows. 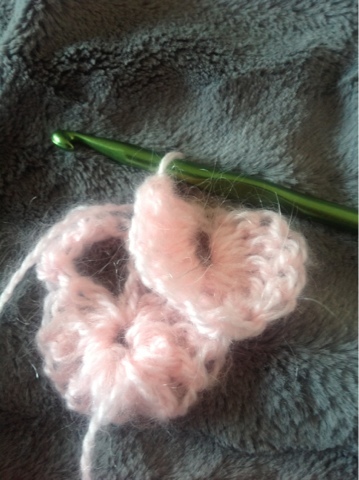 Remember the make a slip stitch between each petal, otherwise it doesn't sit quite right. The back of the wok will have an almost woven look. 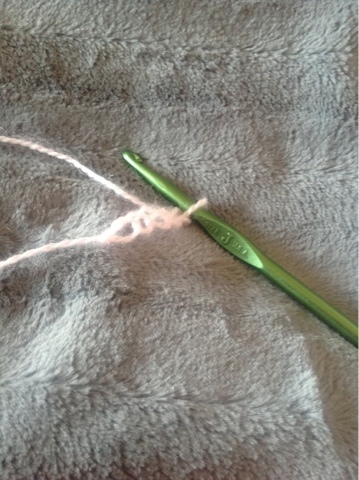 Remember to make 2 dc in the stitch that was a single previously. Make only 1 dc in the loop from the petal below that was 2 dcs. 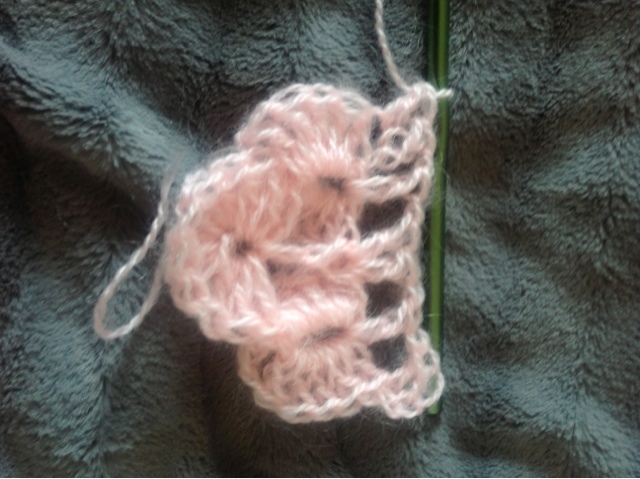 Continue this until your shawl is the size you would like. 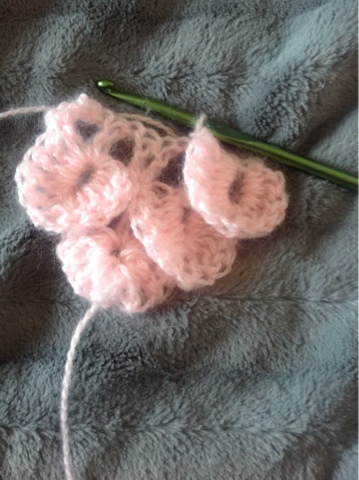 This increases 1 petal per row, and my last row had 23 petals. 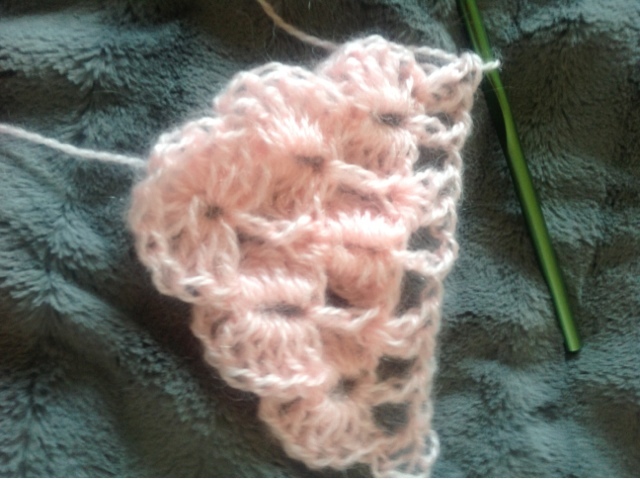 Crocodile stitch is so much fun once you get the hang of it. I love my new shawl. I can't wait to wear it in those cold fall and winter months. Beautiful! Thank you for making it a free pattern. This is a beautiful pattern. Thank you so much for the tutorial pictures as well. I am on scale row 22 and think that I will have to go another skein of sock yarn to be a 1x. (4 skeins of Deborah Norvelle sock yarn.) Thank you for sharing this! Thank you! I probably would have made mine a bit larger if i had the yarn. I don't have a separate version without the pictures, but a written version would be the same writing I have here. I'm confused. I'm not a beginner but can't seem to get past 2dc in the last CH 3 on previous row. The only chain 3 is after you do the 10 DC. When I do that it looks nothing like the picture. 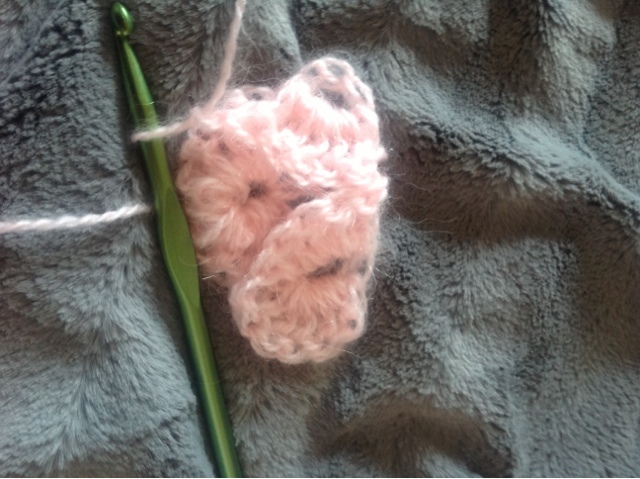 I know how to do the crocodile stitch the pics are just confusing too. Cathy, the 2dc are at the end of the row, so it is the starting ch 3 from the previous row that you will be working in. I think that's where you might be, but I'm not really sure where you are in the pattern. I assume you are on the row that "hides", that you work the dc sts to form the petals around. 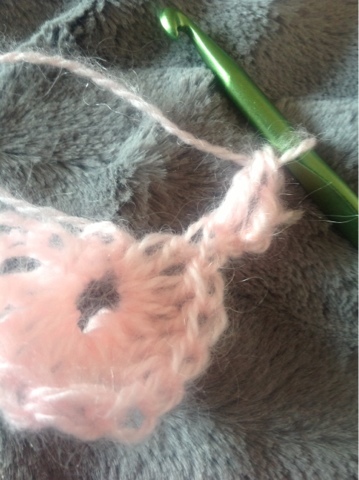 Do you join the ends when it's finished or do you put a button on it? Exactly how did you finish it off? By the way, it's breathtakingly beautiful. 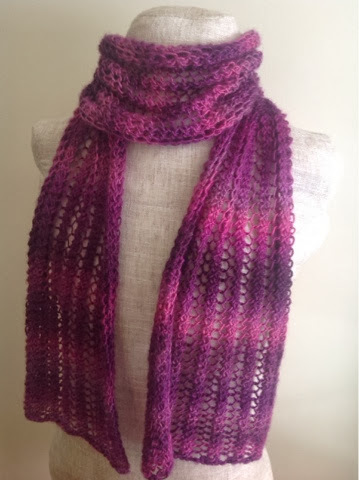 I finished mine off simply by ending the row and weaving in the ends. However, I made another one, but slightly smaller and I stitched the ends of the triangle together to form a cowl type thing. I find this one stays wrapped around my neck well enough. 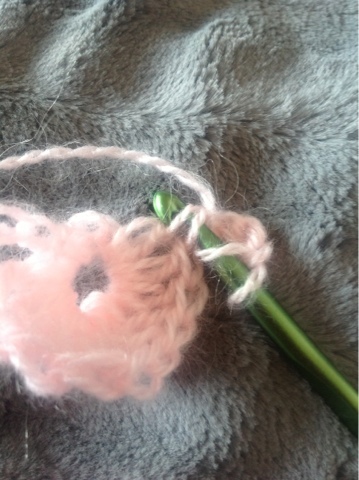 If you would like to add a button or sew the ends together you certainly could. 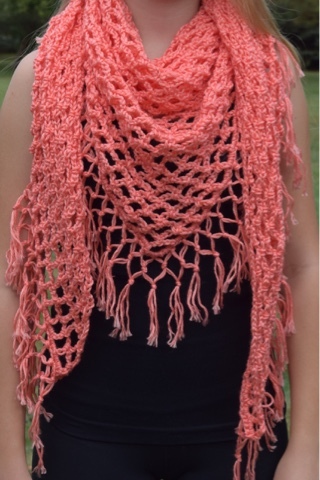 What kind of yarn is best for this shawl? I think it's very thin! 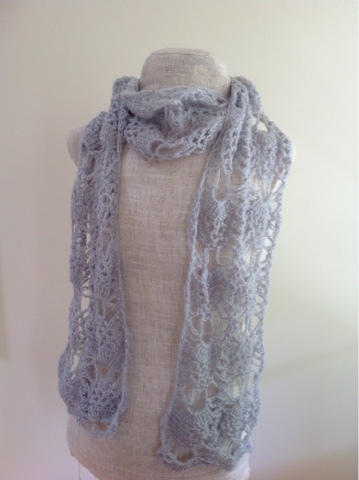 I've only ever made this shawl with this type of light worsted fuzzy yarn. I'm sure anything would work. Something not as fuzzy would give more stitch definition if you want that. Could you tell me what size hook you used? The shawl is beautiful ! I used a J hook. 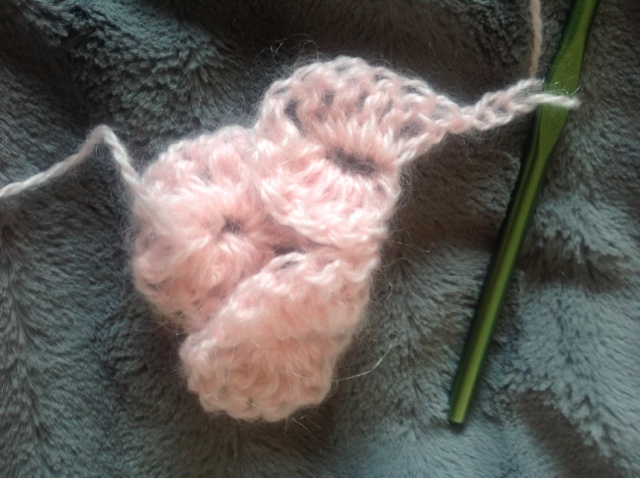 I think this will be a fun new project as I have not tried the crocodile Stitch yet. 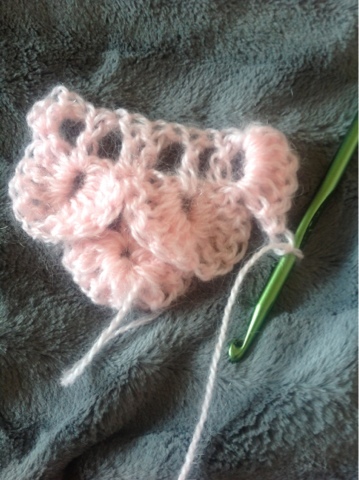 Crocodile stitch is so versatile too! Not specifically, but I find when I right click, and press print, I can print the patterns that way. If you would not like all the comments to print as well, just select the pages you want printed when your computer gives the options before beginning to print. Thanks, Alyssa. Your pattern is beautiful. I can't wait to try it. Beautiful...... 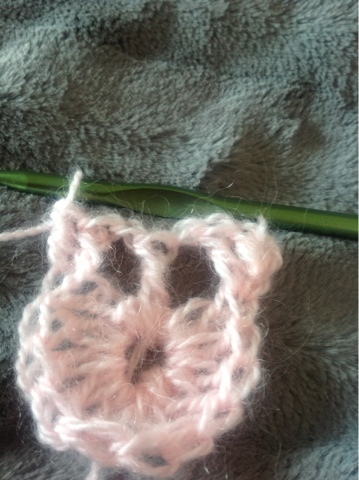 I knew how to crocodile stitch. 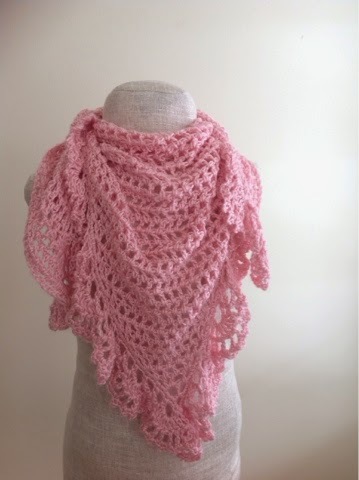 I will making shawl this.. 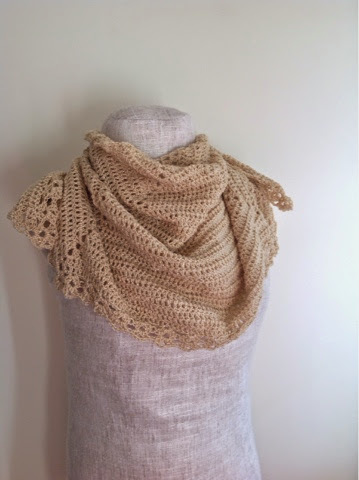 This shawl is beautiful. 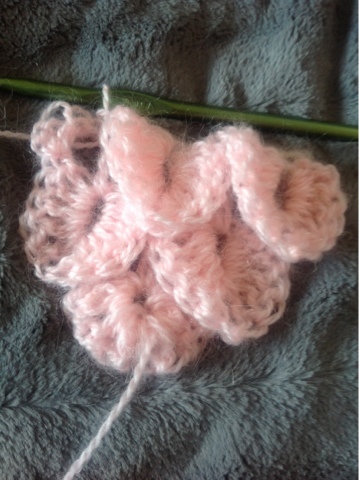 I would like to use this stitch and make an afghan, but I'm not sure as to how to start. Would I make a long chain for the first row? 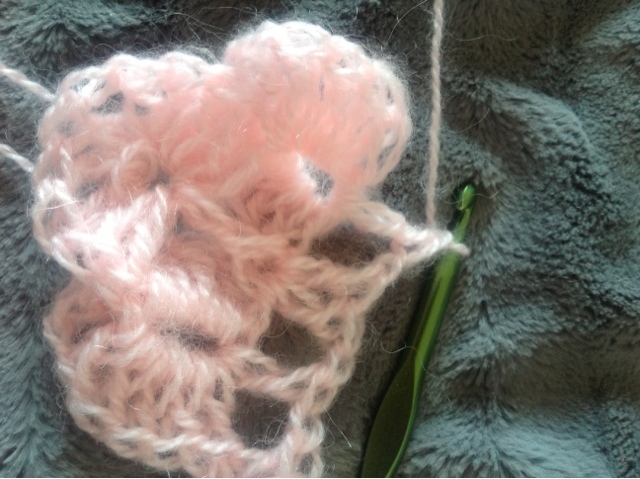 I'm sure they have actual patterns for crocodile stitch afghans, to help give you a better number for the beginning chain. I would chain a multiple of three, and then pretty much follow the instruction I have above. Thanks Alyssa! I'll do a search and see what I come up with. Your tutorial is excellent!! beautiful pattern cant wait to try it trying to print it off with no success so far alternative is to copy the pattern. Will do that to get the pattern. Normally if you right click the option to print will come up, if that helps. I am a complete beginner. It shows labeled as "Easy". I love the look of it and need a shawl because I can never wear pretty sleeveless dresses in summer because I am always freezing. Do you agree that this is easy enough for a beginner? As long as you have done dc sts and ch sts, I think you could figure this out. The pictures will hopefully help you. Good luck! Do you possibly allow for finished products made from your designs to be sold? 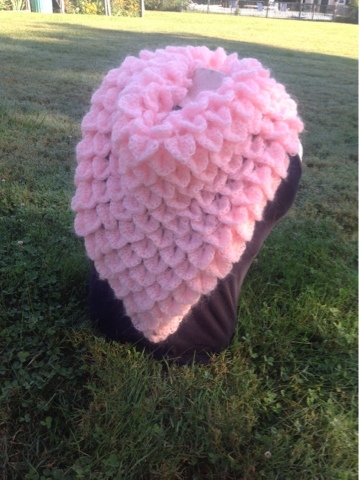 I would love to make this and sell it and link it back to you! I'm okay with the finished products being sold, as long as you don't use my photos or distribute the pattern. 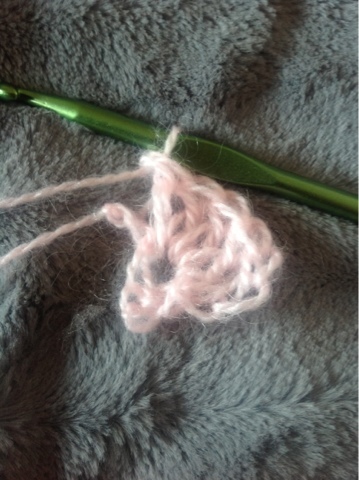 Thank you so much for this never thought I would be able to do this stitch but seeing this I just had to try it. My shawl is looking lovely. 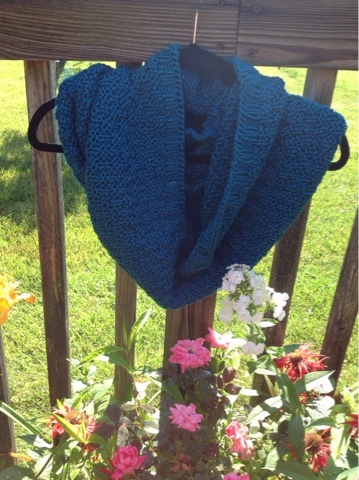 Hope you love your shawl! Of course! You may just have to do more pattern repeats. 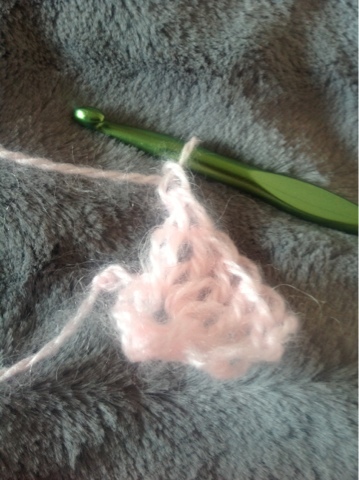 I didn't sew the ends together, so it's just a triangle. I like to wear it kind of tucked into a jacket, but I leave the jacket unzipped. Sometimes if I'm wearing it inside as part of my outfit, I'll wear it with a cardigan and jeans. Hope that gives you some ideas! Made it! 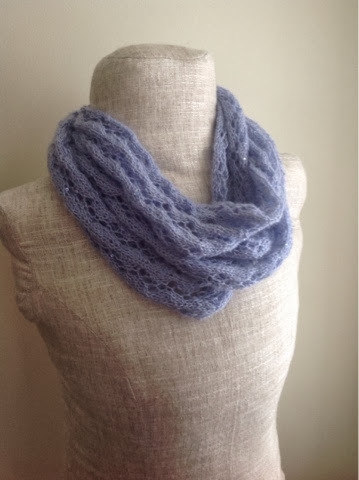 I wear it as a statement scarf rather than a shawl, and i simply love it! There are two rows, the first I call the set up row. In this row, you make the dc "v stitches". In the next row, you turn, then dc around the dcs from the previous row. Maybe a video tutorial would help you? I'm going to make this for a friend. I think it would cheer her up! Beautiful! Thank you for sharing your pattern. I wrap my shawls so the the point is in the front, not the back. 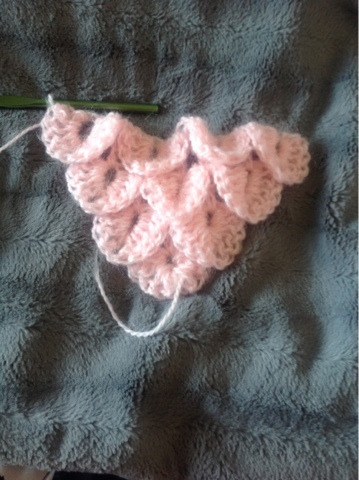 This makes it so the shawl can be smaller. To be able to wrap it around your shoulders with the point in the back, you would definitely have to make this bigger. 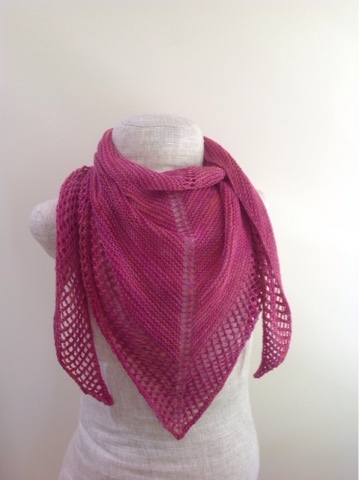 Wow, this shawl is gorgeous! 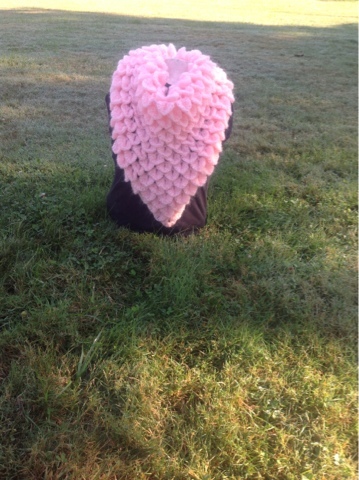 Thank you so much for making it a free pattern. 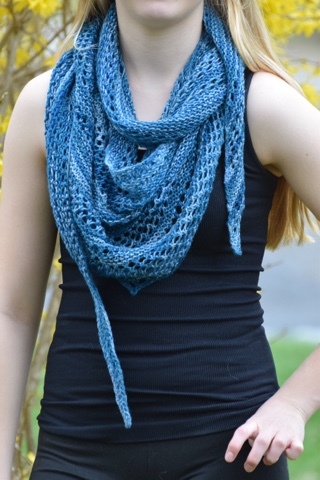 I think I'm going to try it with Lionbrand Mandala yarn.